Watermelon is the cool, refreshing and tasty savior during the hot summer days. This red pulpy fruit, filled with sweet juices, refreshes and relieves our body from the scorching heat. It is also known as the ‘cool super food of the summer’. But do you know, there is many watermelon benefits for skin. Yes, this watery fruit not just refreshes you from inside but it can equally do that to your skin if applied from outside. Its rich Vitamins and minerals, potassium and high water content nourish your skin and makes it glowing. Even the leading beauty product companies out there are depended on this amazing fruit for enhancing the features of their products. So, why spend money on such beauty products when you can directly get all benefits from the real fruit? But yes, as they are seasonal fruits, you will get them only during the summer season. This fruit hydrates your skin and also gives you a youthful look at the same time. It is effective whether you directly apply it on your skin or consume it. Watermelon is well known for this particular feature. It is a natural astringent which changes the appearance of your skin and makes it look better. This fruit contains natural contents which can shrink the body skin tissues which help in toning of the skin. This also reduces blemishes and acne problems. Make a mixture of watermelon juice and honey and apply it on your skin with a cotton ball. You may either rub a watermelon slice on your skin directly or make a face pack with honey and hazelnut powder to get the best outcomes. Adding hazelnut powder treats the oiliness of your skin. Juice chunks of watermelon, an orange and add some water for making a tone for your skin. This solution can be refrigerated for 5 days. Mix rose water and watermelon juice and freeze it into ice cubes. Rub the ice cubes on your face to reduce the acne and blemishes. 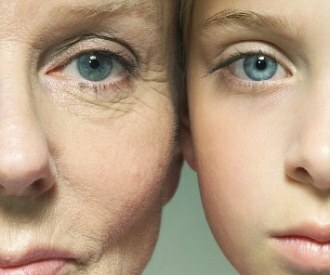 Free radicals present in the body can quicken aging process such as wrinkles, fine lines and age spots on your skin. Watermelon contains anti-oxidants such as Lycopene and Vitamin C and A which can fight off with these free radicals and decrease all kind of skin aging. Eating a good amount of watermelon over a period of time will make you look younger. Moreover, the abundance of Vitamin A in this fruit will also help in the growth of collagen and elastin cells on your skin which is responsible for keeping your skin young and supple. 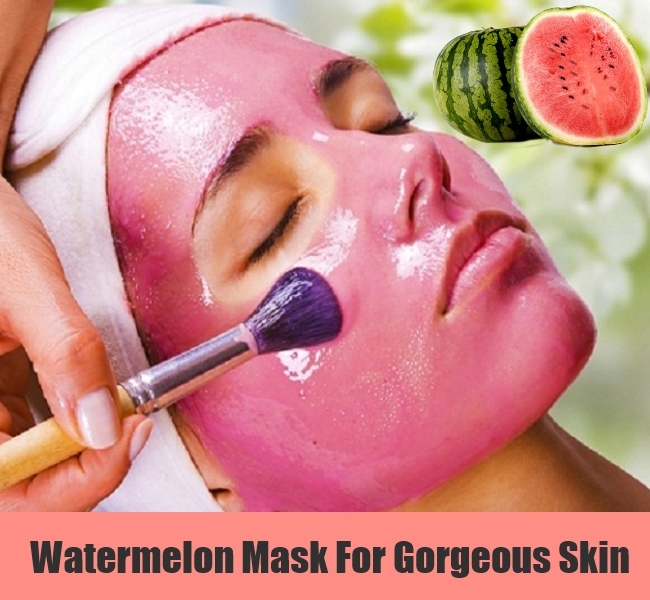 You can either consume watermelon on a daily basis or make a paste of it and apply it on your face as a face pack. Both will have the same benefit. Applying watermelon juice will also help! Make a face pack of crushed avocado and watermelon pulp and apply it on your face for 15-20 minutes. Wash it off with warm water. This will make your skin smooth and supple. 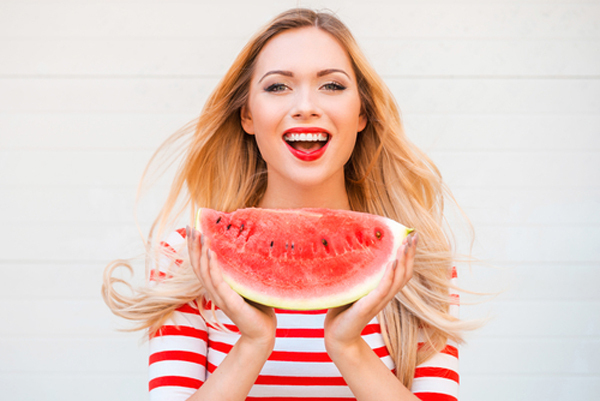 Eating watermelons keep your skin hydrated and help it look from plump. It is also known to lighten your skin naturally. As it contains anti-oxidants, it can detox your body and skin as well. When these harmful toxins get removed from your skin, it naturally becomes brighter and healthy. Apply a paste of watermelon pulp all over your face, shoulder, and neck and keep it for 15-20 minutes. When done, wash it off properly. Your skin will become cleaner. Make a pack of watermelon pulp paste and cucumber paste and apply it on your face and other parts of your body which have got tanned. This paste will help recover those tanned portions and lighten it. If you have a problem with oily skin, you can apply a paste of yogurt and watermelon paste and for dry skin, you can apply a pack of banana and watermelon pulp. Make a natural exfoliator for your skin by using grated watermelon and gram flour leaves. If you have a dry and dull skin, watermelon is probably the thing you need right now. When your skin is dehydrated your skin tends to dry up. 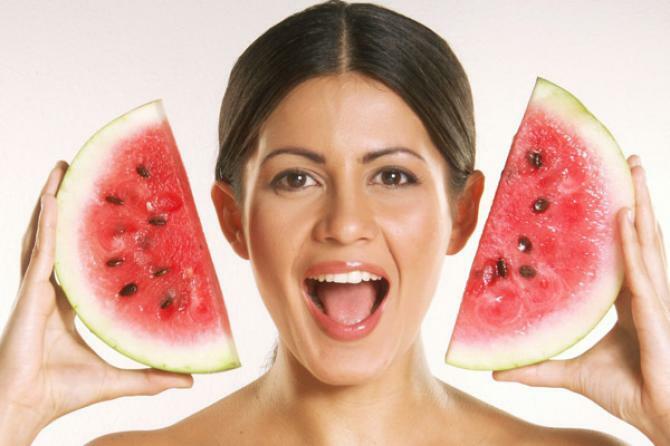 Eating watermelon or applying the paste in this situation will surely hydrate your skin and keep it moisturized. A well-hydrated body enhances the growth of collagen which is responsible for youthful skin. So, add this fruit to your diet and face packs to rejuvenate your skin. You may either eat a watermelon or make a paste and face pack of honey and watermelon paste on your face. This will moisturize your skin and bring back your beautiful skin. When you eat watermelon, a hormone called serotonin, the sleep hormone is secreted. This is due to the presence of polysaccharide carbohydrates in the fruit. When there is proper secretion of this sleeping hormone, your sleeping regulates and your body gets proper rest. And proper sleep is responsible makes your skin healthier. Must Read – Why is Sleep so Important? The abundant Vitamin A present in the watermelon decreases the skin pore size and controls the oil secretions. So, if you want to get a cure for your oily skin, don’t forget to add this fruit to your diet and your face pack too. Add mint leaves to the watermelon juice and freeze it into ice cubes. Rub this ice cubes onto your face to close those open pores which secrete more oil. 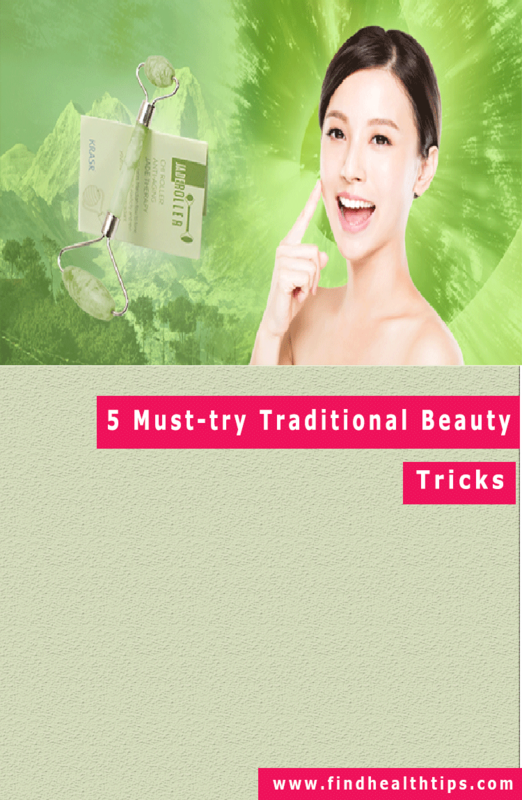 This method also helps in cleaning your skin pores too. Watermelon can also work as a natural exfoliator. It contains an acid which helps in exfoliates your skin and makes it more radiant. Here is an easy method to prepare a natural scrub for exfoliating your skin. Cut the watermelon into small chunks but not too small. Add some sugar and lemon juice to it. Use this as a scrub during your bath to gently exfoliate your skin. This can also be refrigerated for at least a week. 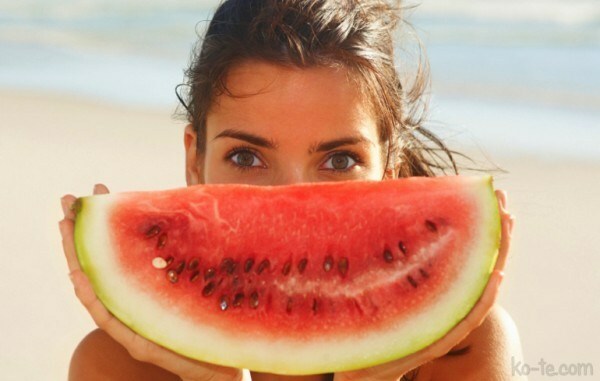 Apply watermelon juice on the dark circles under your eyes with a cotton ball daily. You will be shocked to see how quickly the dark circles lighten. Not only skin, watermelon is also good for hair. It makes your hair stronger, prevents breakage, hair fall and maintains the natural hair color. The watermelon seeds keep your scalp moisturized and free from itchiness. As it is a low-calorie fruit, it helps in maintaining weight. The watermelon juice works as a natural detoxifying agent. Packed with essential vitamins, minerals, carbohydrates, and electrolytes this fruit is a quick source of energy. Being rich in fiber, this is an ideal snack to curb hunger. Can be used for treating blisters and wounds.